Trying to find a saddle bag for this bike has been pretty tricky. 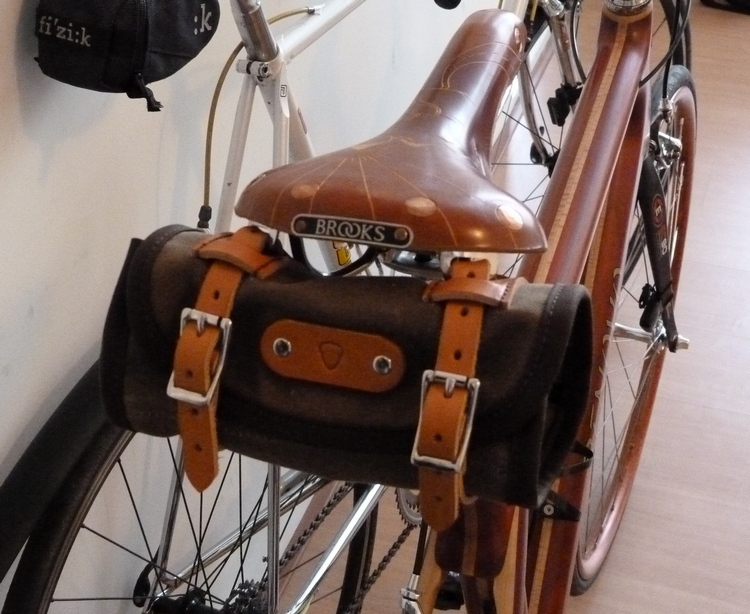 Modern saddle bags simply look silly and a Brooks leather saddle bag looks way too retro. In the end I went for an Acorn Roll Bag. This American based company makes lovely bags and this one in no exception. 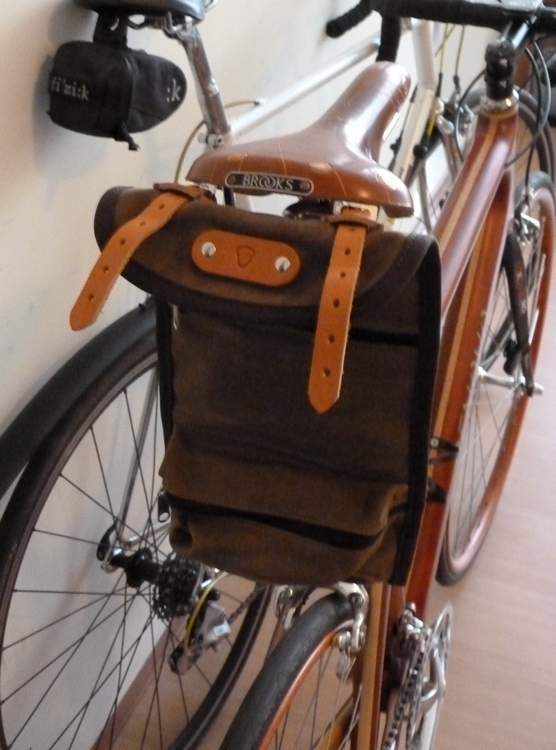 It features waxed fabric, leather mounting straps and zippered pockets. It functions and looks great. Sorry for the crappy pics. I hope to upload some better pics soon.